I’ve been enjoying listening to more doses of classic Ike and Tina Turner funk and R&B; these are in my collection thanks to @easegill sharing me his entire South Pacific music library when I visited New Zealand in 2015. (It has a different flavor in a version by Nina Simone). The copy is of sufficient resolution for commentary and identification but lower resolution than the original cover. Copies made from it will be of inferior quality, unsuitable as artwork on pirate versions or other uses that would compete with the commercial purpose of the original artwork. when was the last time someone leading a copyright workshop explained this? Ah, I digress. Let’s go back to the non-free content image. 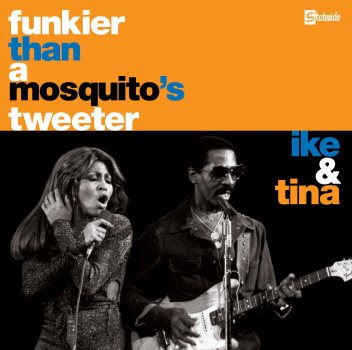 All I can think of– this album cover of Ike and Tina’s music from 1969 to 1974 has “tweeter” in the title. 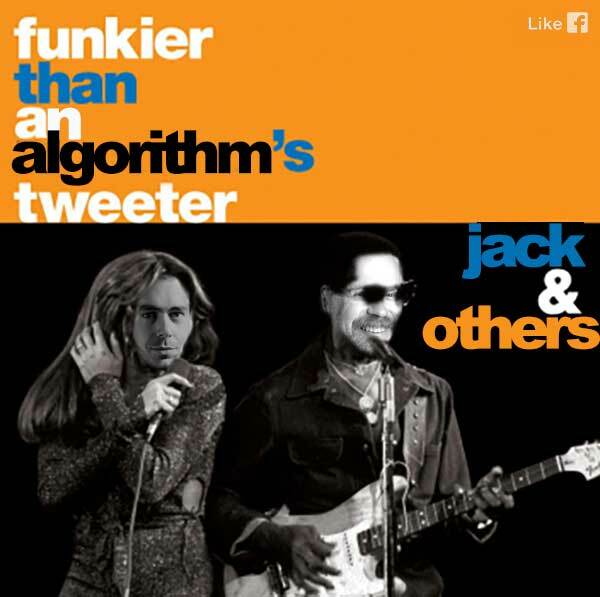 I cannot help but flex the remix muscle, to brink the tweeters funkiness to 2016, when it’s all about algorithms at twitter. My remix of a piece of content published as non-free content, well heck, who knows what to make of this. Yup, that is Jack Dorsey’s and one of the two Adam’s found on the Twitter Leadership Team page. I guess I could have picked any of the crew, but one of the Adams had glasses that slid in nicely behind Ike’s. And did you notice the redo of the Stateside Records logo? So much fun, I took a Facebook Like button and turned it around to be “Like Facebook” — cause that’s where the twitter ship seems to be headed. You're nothin' but a dirty dirty old man You do your thinkin' with a one track mind You keep preachin' 'bout heaven and glory But on your face it shows a different story Clean up your rap your story's gettin' dusty Wash out your mouth Your lies are gettin' rusty I can't believe nothin' you say Cause I'm around and i see what you do You know you're funkier than a mosquito's tweeter You got a mouth like a herd of boll weevils Same ol' game You never change Alway's rappin' 'bout the same ol' thing! Alway's rappin' 'bout the same ol' thing! Hopefully it will stay funky. Like way more funky than Led Zeppelin! Featured / Top Image: Ike and Tina Turner, 1972 in Hamburg Germany. Pretty much the first result on searching Google Images (filtered for images licensed for re-use), leading to it’s entry in MediaWiki Commons but there it’s cited as from a flickr photo by Heinrich Klaffs https://flickr.com/photos/heiner1947/4375738506 shared under a Creative Commons (BY-NC-SA) license. One has no idea if this is Henirich’s photo or a photo of a photo, but oh well, that’s more than enough leg work.